Thanks to the Bundy Gang, public lands advocates became aware of elements of the Land Seizure movement that had been operating in the shadows. The curtain was drawn back on networks of agitators and propagandists: Constitutional “experts” and sheriffs, “patriot” legislators and self-centered sovereign citizens. We learned of fundamentalist Mormon beliefs like “bleeding the beast” and the Skousen Constitution as a holy document. There was a sudden swarm of militias, and Bundy embrace of vigilante-style justice. New Mexico rancher Adrian Sewell renouncing his grazing permit at a Malheur ceremony. Activists have been probing the long time role of Utah’s Bert Smith in elements of the insurrection. .
–Storm Over Rangelands Todd Macfarlane and Angus McIntosh . Bert Smith attended the Boise Storm event and Macfarlane stated publicly that Smith had paid for the conference. “Constitutional Carry” (No Permit for a Concealed Weapon) Rally – Boise. Bill Sponsor was COWs Confederate Flag embracing Heather Scott. New “patriot” groups keep sprouting up. The proliferation helps distract from the core actors in the movement. . Hall appeared in the Idaho statehouse invited by Judy Boyle, a COWs legislator, for a closed session. Former ALC head Ken Ivory now heads a new “Free the Lands” effort to mainstream Land Seizure, promising even missionary style door to door evangelizing and promotion across the country. ALEC cookie cutter bills are gnawing away at federal controls in state level legislation, for example a public lands “nuisance” bill in Idaho. Utah is outright funding a legal effort to claim public lands. Three federal land grab bills have been aired in Rob Bishop’s House Resources Committee. Utah’s Mike Lee plans to introduce legislation abolishing BLM and Forest Service law enforcement. Politicians scream that Finicum was murdered, and pontificate on soapboxes to inflame tensions, while the Finicum and Bundy families and supporters wail. How all this came about must be teased apart to effectively deal with what has been set in motion. How Did Militias Become Grafted onto the Bundy Gang and the Land Grab? Questions that have not been asked are: How and when did Militias get grafted onto the Land Grab, and are they too being funded? In early January, the Idaho Three Percent militia and their spawn the Pacific Patriots Network made the news (and received a friendly interview in The Oregonian). Appear more palatable, and be ready to take on the Feds if public sentiment turned pro-Bundy. Intimidation of local officials and members of the community had already been taking place weeks before the Refuge was seized. Ammon Bundy had helped set up the Committee of Safety, which portrays itself as a militia-lite. Storm’s Todd Macfarlane described a familiarity with militias, having been around them in his role at Bunkerville in 2014. Macfarlane also knew Cliven Bundy from meetings prior to the 2014 armed stand off. (Interview). So there is not just a Bundy Militant Inner Circle cast that appeared again in 2016, but agitators like Macfarlane, and other elements like the gospel singer family showed up at Malheur. Questions need to be asked about potential coordination between Bundy and militia groups leading up to Bunkerville, how Ammon Bundy ended up moving to Idaho nestled amid militias, and coordination and potential sources of financing militia activities. As an example of costs, motel room prices in Burns had been jacked up to over a hundred dollars a night, and the FBI was renting blocks of room to keep the militias out. Militants drove expensive vehicles, spent considerable periods of time away from jobs, drove long distances, and hotel costs were high. In early March, some of the Bundy 2014 militia gunmen were indicted and arrested. At the Boise Federal Court hearing for pre-trial release of Three Percent VP Eric Parker, Scott Drexler and Stewart, many supporters wore militia garb with “rebellion become duty” slogans, perhaps not the best thing to do when a federal judge is deciding the fate of one’s compatriots. Two of the Militants (Parker and Engel) had assault rifles in their vehicles when arrested, despite rumors for weeks prior on Oathkeeper and other sites of imminent indictments. The U. S. Attorney used the gunmen photos from 2014, and the militia members continued threatening social media posts, including those related to Malheur, to seek their detention. Three will be held over until trial. One, Stewart, may be released after transfer to Nevada. Engel’s hearing is discussed here. Following the court rulings, the militia told NPR they were “sick to their stomachs”. They are now protesting Parker and others being brought to justice, calling the gunmen “political prisoners”. They are calling on Idaho Attorney General Wasden to take a stand. Through summer 2015, Militants were roving the West, looking for causes to latch onto – like Sugar Pine and New Hope mine. Befor e Parker and others were arrested, the Idaho Three Percent staged a protest in front of the BLM office in Challis, Idaho. It was claimed to be a protest of Lavoy Finicum’s shooting, persecution of the Bundys and other abuses. They bragged they were setting up operations in all 44 counties in Idaho. 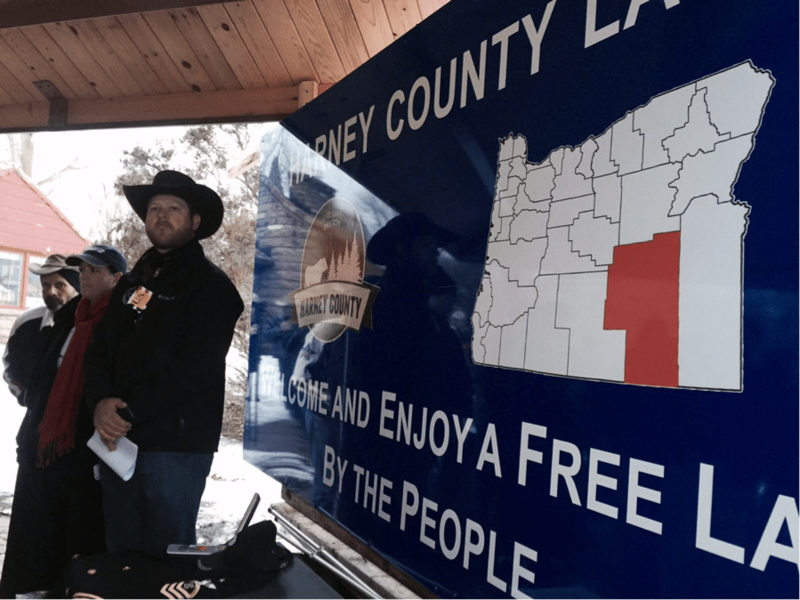 The choice of the rancher-friendly Challis BLM as a Protest target was puzzling. 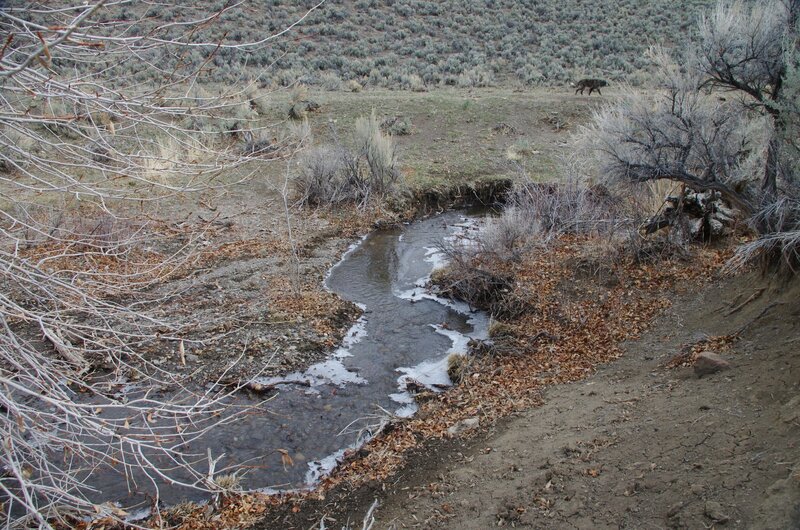 For the decades I’ve been working on public lands issues, BLM leadership in Challis has done little to change grazing. The largest Challis allotment, Mountain Springs, is controlled by an heiress to the Hewlett fortune. 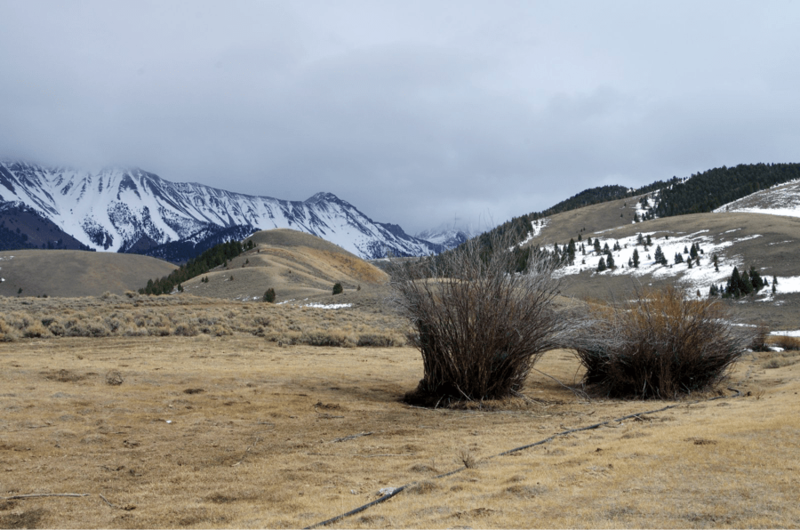 Despite the allotment lands suffering serious degradation of springs, streams and sage-grouse habitats, BLM moth-balled an assessment of grazing damage, and the Challis grazing program has been sluggish to say the least. Two years ago, when I asked the BLM Manager how assessments were progressing, he basically said BLM was planning to do one or two a year. It would take over 50 years to review grazing damage in Challis at that pace. At the same time, the federal government has lavished subsidies on the Challis BLM and Forest permittees, and private landowners. “Stewardship” groups latch onto funding. A proliferation of fencing and water projects has sprawled across the uplands impairing sage-grouse habitat – a substitute for the agencies requiring the ranchers to work to control cattle, or for holding ranchers accountable for violations of grazing use standards. 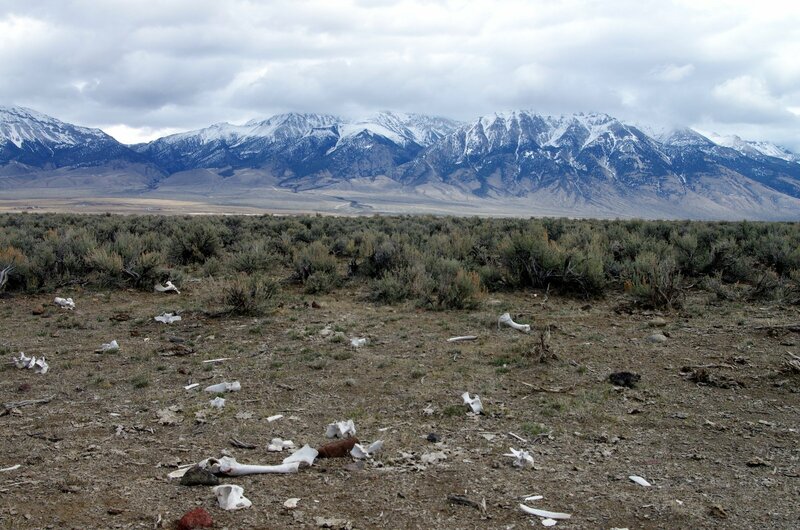 Secretive and brutal Wildlife Services routinely uses the Challis airstrip as a base for gunning down wolves, and traps coyotes and other predators the ranchers complain about. Grazing is also being further subsidized by a wealthy individual, and apparent militia sympathizer, buying up allotments, and promoting “natural” beef. The Challis rally seems most about gaining credibility in town, and intimidating the BLM from efforts to enforce existing grazing controls. A week after the Challis militia event, a 12 year old girl was accidentally shot in the stomach at a Three Percent gun event near Rupert, Idaho. “Smile. Show these people that these guns are not going to jump out of their holsters and starting shooting kids,” Parker told marchers”. Besides outright seizure, the Bundy Bunch and Militia at Malheur intimidated the federal agencies, local officials, members of the community, and even hikers on the Refuge. They also snuck around and spied on people and vehicles. Intimidating agencies, and keeping them from acting to effectively manage public lands is a form of soft takeover of the lands. Agency inertia and foot-dragging has long been a serious problem. With fear and intimidation interjected into the mix, paralysis will result. It also provides an excuse for managers who don’t want to rock the boat, and instead use claims of “collaboration” to concede to damaging projects, or look away from trespass and other violations. Will Sally Jewell, Neil Kornze and Forest Service leadership forthrightly stand up for public lands and the rule of law? Their prolonged inaction cannot continue. The public must continue to focus like a laser on Malheur and Land Seizure, push hard for probes into funding and connections, and hold agencies accountable for protecting public lands so they do not slide into chaos.